Hostess releases new Peanut Butter Ding Dongs as the latest version of the hockey puck-shaped snack cakes. The new dessert features a peanut butter cake with a center of peanut butter creme, covered in fudge and then decorated with a peanut butter drizzle. The flavor follows last year's launch of White Fudge Ding Dongs. 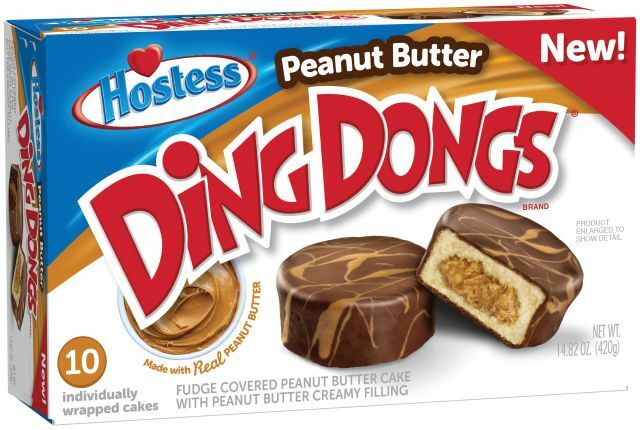 You can find Peanut Butter Ding Dongs in store nationwide in multi-pack boxes and in single-serve packets.